Who knew one small household item could have so many useful purposes?! Dryer sheets are intended to add a bit of softness and reduce static when tossed into our dryer with our laundry. However, they can do so much more! 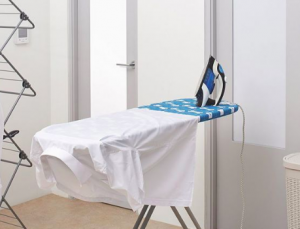 We put together a handy list of five ways you can use dryer sheets for tasks around the house. Have other uses that you’ve found helpful? Share them with us in the comments! 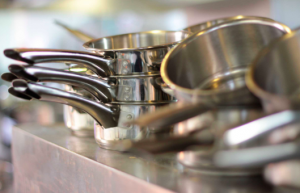 If you have baked-on food that you’re struggling to get off your pots and pans, try an unused non-woven polyester dryer sheet. Place it in the pan and then fill it with hot water. Let the pan soak overnight and the coating on the dryer sheet will help soften the food. Use the dryer sheet the next day to wipe away the food! 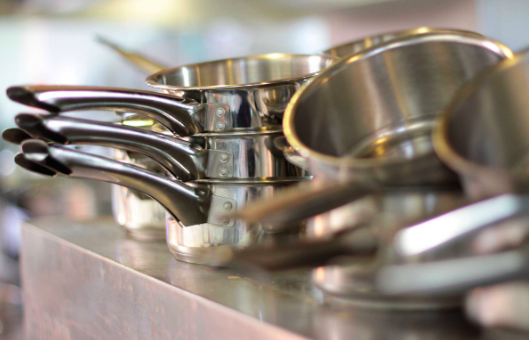 Finish the task by washing the pot or pan with dishwashing detergent and hot water. 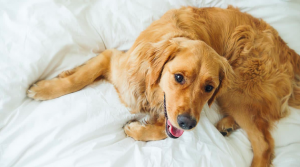 The same qualities that allow dryer sheets to reduce static in the dryer will help lift pet hair from clothes and furniture. Just rub the sheet over the fabric to loosen the hair and then use a lint roller to pick up the rest. You can use new or used dryer sheets for this trick! For used dryer sheets, dampen the sheet slightly to remove dust and hair from ceiling fan blades and shelves. You’ve probably got a pair of shoes around the house that have gotten a little too ripe. Add a dryer sheet to take some of the smell away! For kids’ shoes, you can cut each sheet in half and line the sole. This trick can also work in the bottom of your garbage can, in your luggage, in your gym bag, and in your car. And another handy use on shoes… dryer sheets also work to quiet squeaky rubber soles. Rub the bottom of the shoes with a dryer sheet and the residue will minimize the friction and help to get rid of the squeak. Find melted gum, crayons, or adhesive in the dryer? Wet a non-woven polyester dryer sheet and scrub away! The fabric softener and the texture help to loosen the stickiness without harming the finish. The same technique can work on the bottom of your iron to remove scorch marks or starch build up. Rub the dampened dryer sheet on the bottom of a cold iron. Then heat the iron to a low setting and run it over a couple of clean paper towels to remove any remaining residue. This is for the creative ones! 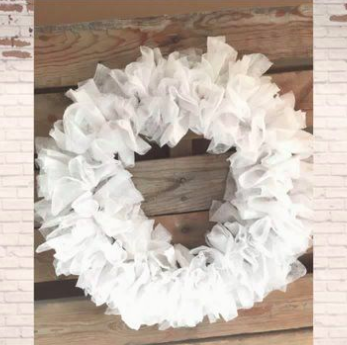 If you’re crafty, you can use dryer sheets to make a wreath! To make a lush, full wreath, you’ll need 80-100 used dryer sheets. You can save these up for a couple of months after every load of laundry or you can soften up a new batch by placing them in a mesh laundry bag and tossing them with some wet towels for 15 minutes and they’ll be ready for wreath making!